The original Monster High BFFs -- beast friends forever -- are back and celebrating their first meeting dressed in their original core outfits! These iconic fashions are still as fierce as they were on the first day of school. 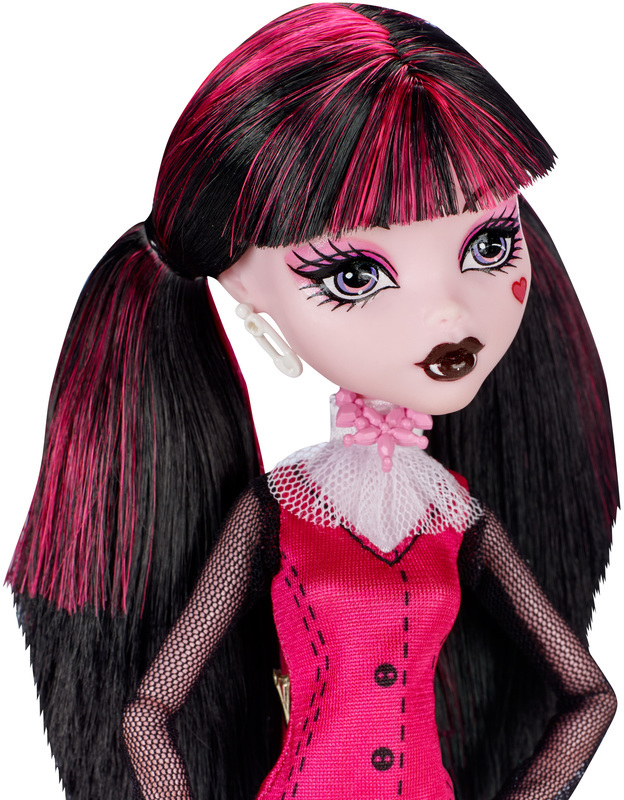 Fans will immediately recognize Draculaura doll’s signature outfit from the webisodes and DVD. The Daughter of Dracula comes alive in her signature pink and black with a white frilly skirt, black mesh sleeves and white lace at the neck. To-die-for accessories, like tall pink boots and her creepy cool umbrella, are electrifying, while iconic touches (such as fangs and pigtails) celebrate her freaky flaws even more. Girls will love recreating favorite scenes and imagining new uhhhmazing adventures with this boo-tiful ghoul. Use the included doll stand to capture her in creepy cool poses for play and display! Collect all her beast friends to add to the frights. Includes doll and doll stand. Dolls cannot stand alone. Ages 6 and older.